Nathalie is a fabulous host. She provided a wonderful breakfast each morning and even helped us with laundry. 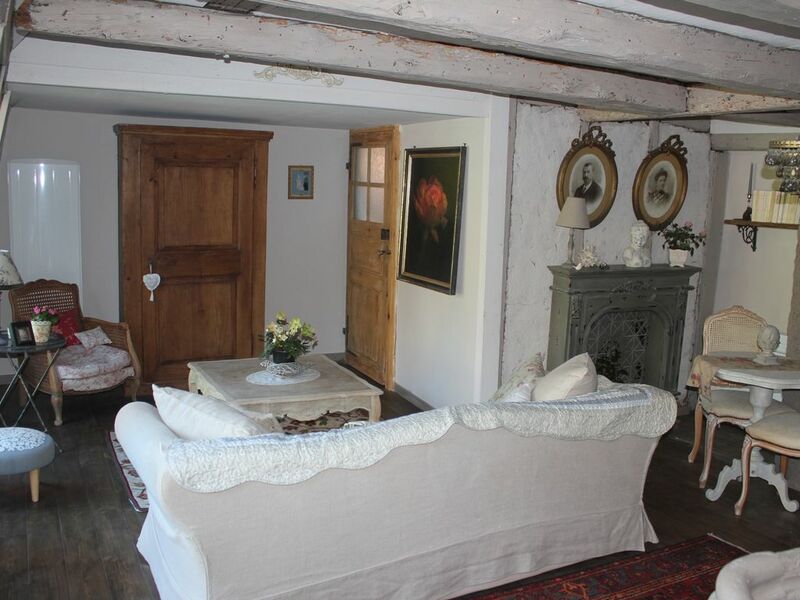 The apartment is really neat and a perfect match to the charming village of Keysersberg. We loved staying here in the beautiful heart of Kaysersberg. A beautiful apartment and Nathalie is an amazing hostess who took very good care of us. Her cat "Salami" was also a very sweet host who immediately made us feel welcome! Thank you Nathalie for everything! Jo-Anne and her family were wonderful guests !! I loved spending time with them, discussing with them sitting on the terrasse for the apéritive while drinking together a glass of wine ! It was fantastic days with them at home ! I already miss them, and Salami as well is looking for them !! I recommand them to everybody, they are so friendly, funny and absolutely pleasant !! Our very short stay in Kayserberg was made special by the graciousness of our host, Nathalie. She went above what was necessary and provided our family of five with a wonderful, charming place to stay and a yummy continental breakfast! Should we return to the Alsace region, we will definetly stay here again! Thank you so much Lori ! It was a pleasure for me too to welcome you at home ! I'm pleased for you that you keep a great memory of your stay here, and wish you all the best for the rest of your trip in Europe ! Delightful stay at Le Grenier de Marguerite! My husband, two daughters and I thoroughly enjoyed our stay at Le Grenier de Marguerite - Nathalie was so very helpful as to suggesting area sights, wineries and restaurants - the apartment was centrally located for this. The décor was rustic and beautiful, the view of the castle was lovely from the outside patio, and restaurants, cafes and shops are a very short walk in this lovely quaint town. Thank you again Nathalie! I wanted to thank Kristin and her family for the nice moments we shared together ! Nous avons apprécié ce petit coin douillet en plein cœur du beau village de Kaysersberg. Nous avons été très bien reçu, nous avons apprécié le petit déjeuner servi sur place. Merci pour le lavage des couches de notre petite fille. La solution du parking a été aussi bien appréciée. Nous conseillons cette location haut perchée dans un ancien grenier. Alsacian wine tasting on the wine route is possible at many famous gastronomic facilities located nearby (Auberge de l'Ill in Illhaeusern, Le Chambard in Kaysersberg, JY'S in Colmar, etc.). There are many museums (like the Unterlinden Museum in Colmar), and Europa-Park is 1 h away by car. You will find hiking trails, glacial lakes, and farmhouse inns less than 30 min away (+ shuttle buses along the route of Crêtes). You will find beautiful cities 1 h away by car (Strasbourg, Freiburg, Mulhouse, Bâle, etc. ), and many tourist villages (Riquewihr, Ribeauvillé, Eguisheim, etc.) less than 15 minutes away. Tarif de 120 euros par nuit, si uniquement 2 personnes. 10 euros par nuit par personne supplémentaire, au-delà de 3 personnes.